Speech Force Game working on synonyms, antonyms, multiple meaning words, and categories. So I am a StarWars fan. The first movie I remember seeing is Star Wars, I was 5 years old. I remember we were late (my Mom had a tendency to be late to stuff), so we came in during the first scene with the Sand People. I remember standing in line for The Empire Strikes Back. My brother and I had Star Wars action figures and ships. We had the Death Star which had a trash compactor… Ok so you can see I am a bit of a Star Wars fan! 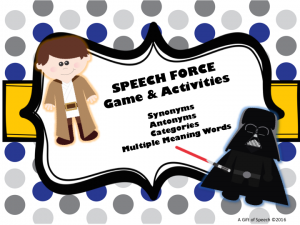 So I love StarWars and I love SciFi, so I created the Speech Force Game for fun and inspiration! I love out of this word adventures and so do my students. 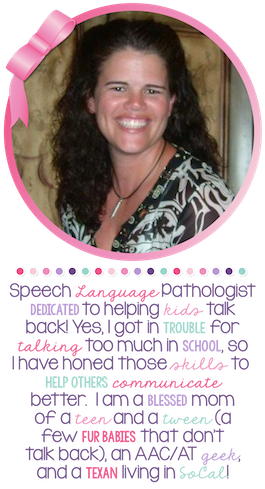 Making speech both fun and functional!